Netflix to invest $3bn on expanding TV and film content in 2014 | What Hi-Fi? With net profits of $112m at the end of 2013, video streaming service Netflix is planning to spend $3bn in 2014, and more than $6bn over the next three years, on new TV and film content. The US firm is also to raise $400m to help fund its investment in original programming and major European expansion later this year. It made $4.3bn in total revenues last year, a rise of 19 per cent year-on-year. Its share price jumped from $92 to $367 during 2013. However, total "cost of revenues", of which licensing costs are the largest part, also rose 17 per cent from $2.6bn to $3.1bn. With the second series of House of Cards, starring Kevin Spacey, due to start broadcasting on February 14th – and in 4K Ultra HD – Netflix is clearly on a mission to attract new viewers. It says it expects to "substantially increase" investment in shows that it makes itself, such as House Of Cards and Orange is the New Black. It has also benefited from exclusive rights to cult series such as Breaking Bad. 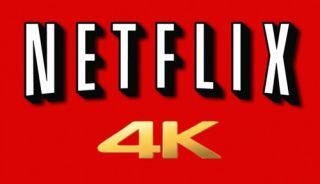 Netflix made a big splash at CES in January, announcing that it will begin streaming of 4K Ultra HD in 2014 with a new app on the next generation of 4K TVs. It has also announced a 4K streaming collaboration with Sony.